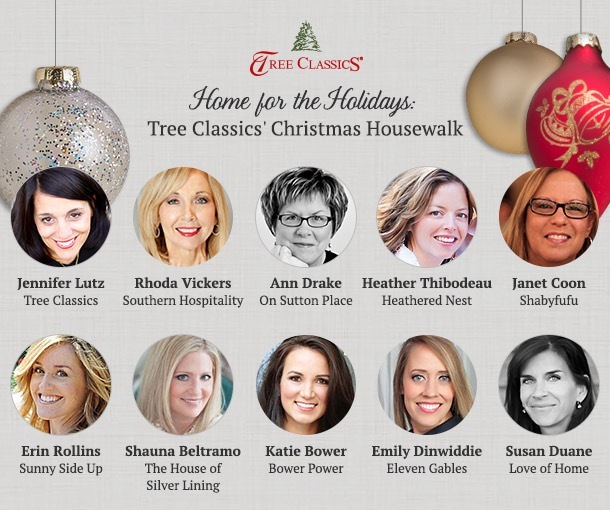 I’m so excited to be partnering today with Tree Classics! 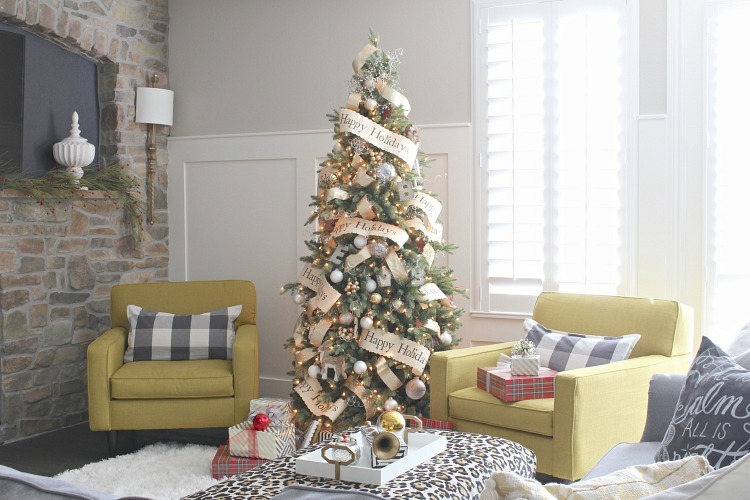 They invited me to share one of their beautiful trees in my home for their Christmas Housewalk and to tell you a little about what our ideal Christmas looks like. With the busyness of this magical season it’s easy to get caught up in all the Christmas decorating, gift wrapping and party going. But when I turn on my holiday playlist, my most FAVORITE of favorites song, “Mary Did You Know” (I love the version by Kutless) comes on and my heart just fills with overwhelming gratitude. The reason for this season is to celebrate our Savior’s birth. His love is so beyond measure and I’m so grateful for the blessings he has bestowed on our family. 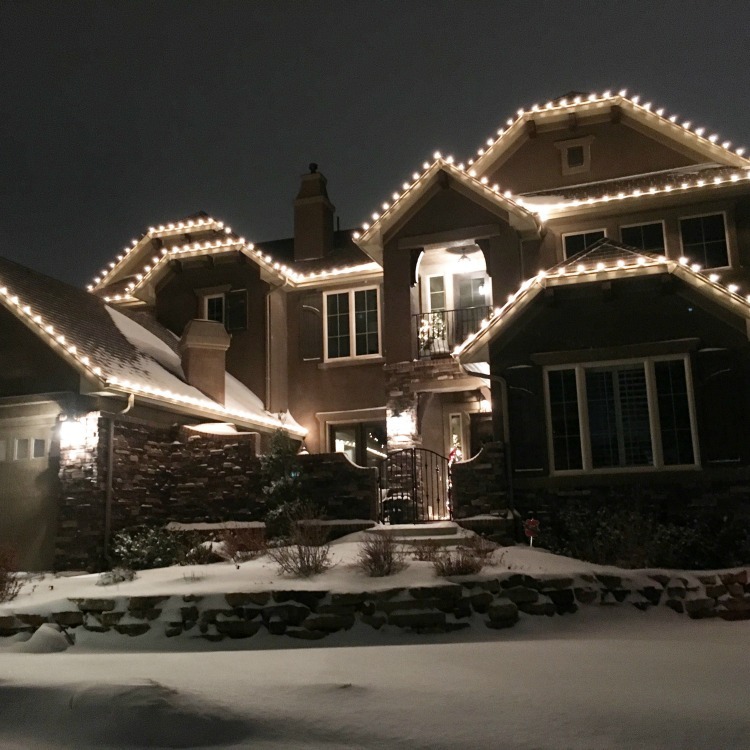 With our first Christmas home tour of the season I shared our “fancy” trees (see our Christmas home tours HERE and HERE). I call them fancy because that is really what they are. 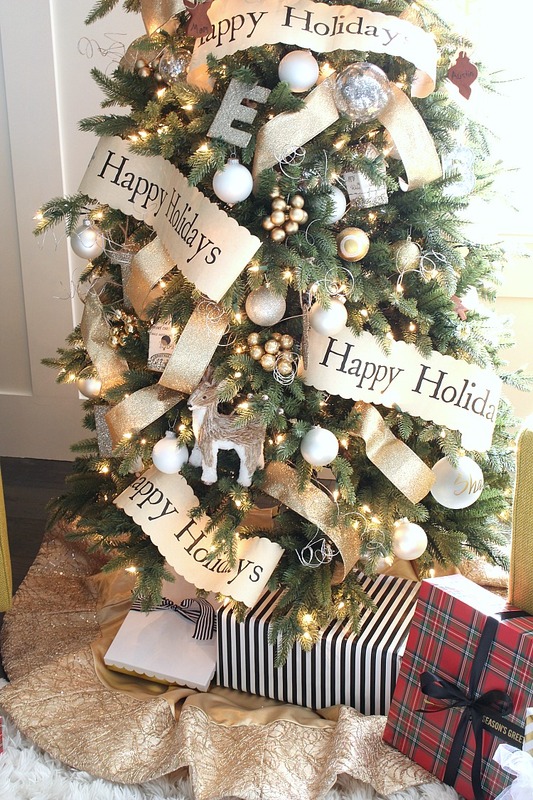 No collected family ornaments, just pretty ribbon, tulle and beautiful ball garland. Although those trees may have beauty, I still see our traditional family tree as the most beautiful. 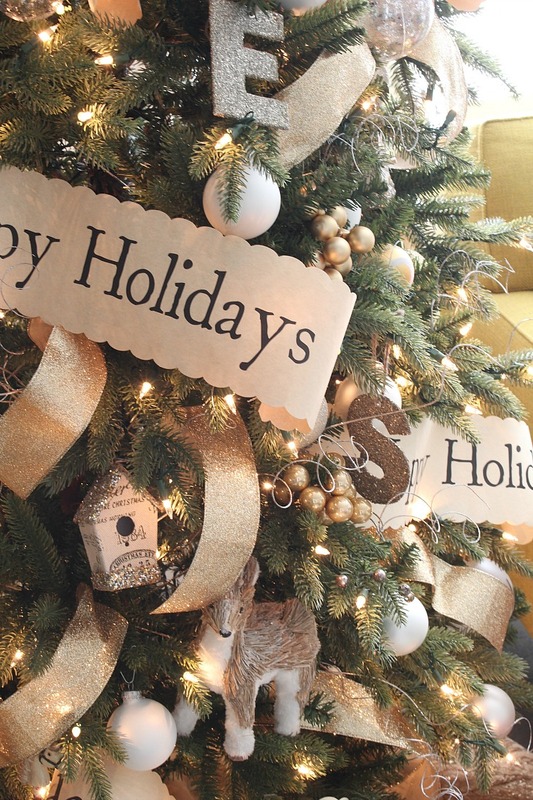 It’s a mix of old paper garland, a touch of gold ribbon and our family ornament collection. 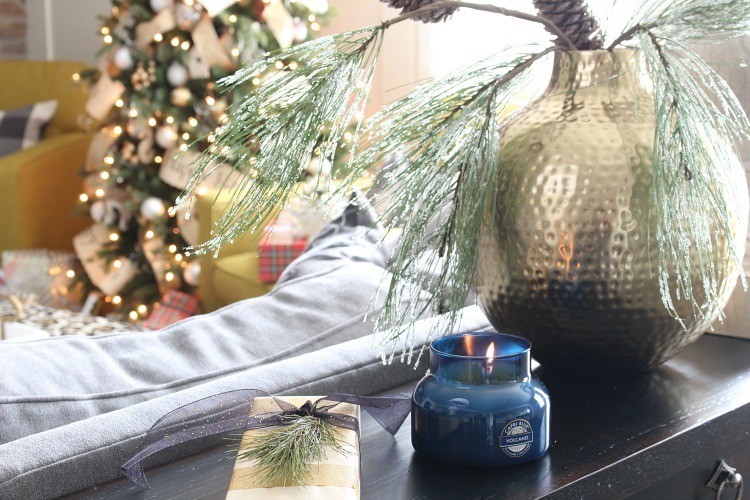 I chose this Kennedy Fir Snap Tree which was so super easy to assemble. Even comes on wheels in case you change your mind where you want your tree to go (I may have rolled mine from one room to the next, decorated and all!). It’s called a snap tree because all you do is simply snap the tree together in less than 5 minutes. I’m all about easy peasy these days so setting this tree up was a dream. I love how real looking and soft the branches are! There is just something about a green tree that speaks tradition to me. If you have kids then you must have 2,153 handmade ornaments collected from all the years at preschool and classroom holiday parties. We have almost 18 years of these collected treasures. Some may even have petrified macaroni noodles on them. Our three boys actually have their own little trees in their bedroom that a lot of those ornaments now go on. 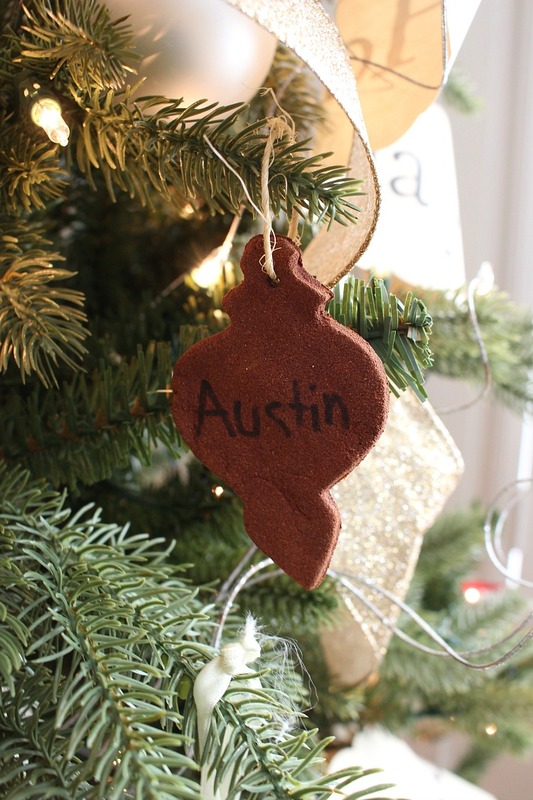 I still love to scatter these sentimental ornaments on our family tree as well. Our son, Ethan, (he caught my creativity gene, or at least I like to take full credit #winkwink) loves to make handmade ornaments for the family as gifts. This year he made these gingerbread cutout ornaments, strung them with twine and surprised us with them hanging on the tree. Can he melt my heart anymore?? Love his creative mind and thoughtfulness! Tree Classics also sent me this pretty satin and gold tree skirt. 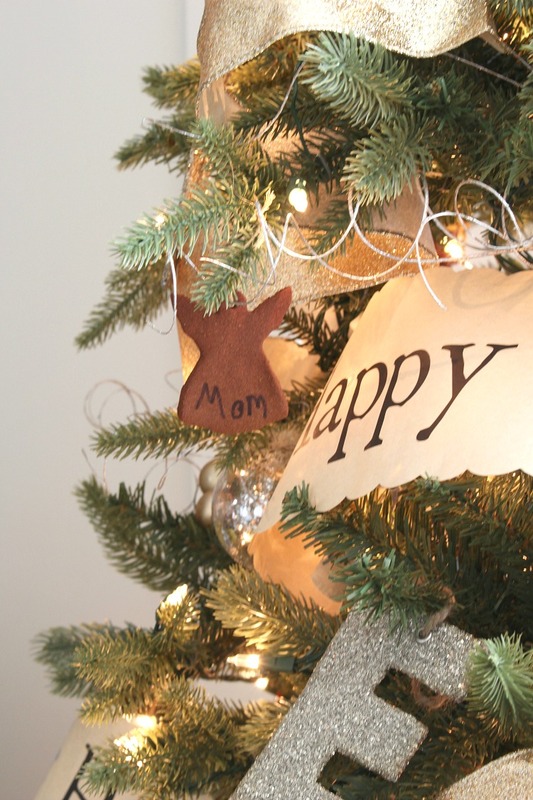 It glams up our traditional tree and adds that touch of gold I love spreading throughout our home. It’s getting overpowered with presents. I’ve been wrapping them as they arrive…thank goodness for online shopping! The red plaid boxes are so fun and festive and much different than the leopard print paper I have under my other trees. 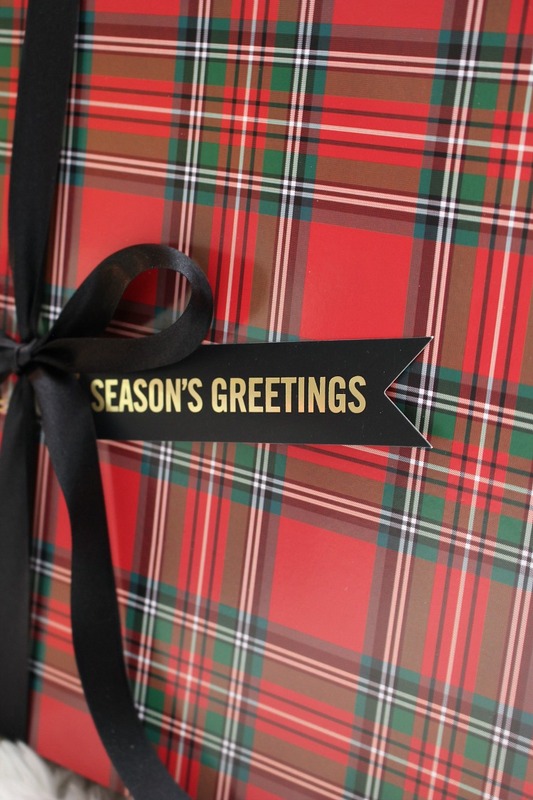 The gold and black striped wrapping paper will always be a favorite of mine since it’s simple and classic. I have to admit I’m kind of thrilled that my boys are old enough to be okay that their gifts are no longer wrapped in cutesy santa paper or star wars characters with santa hats. Those were sweet days, but seriously clashed with my decor…haha! Here’s a peek of our family room where we will spend our Christmas morning opening our stockings and gifts. 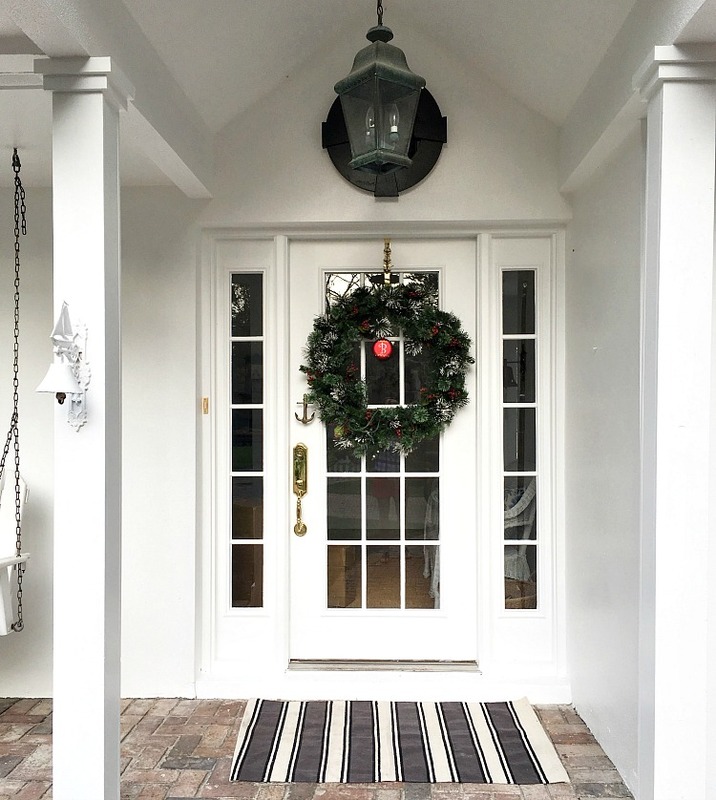 Come back tomorrow and you’ll see the rest of it in another Christmas home tour! If you look around our home you’ll see that I love pops of bold color and a dash of leopard print. It’s the personality of our home! 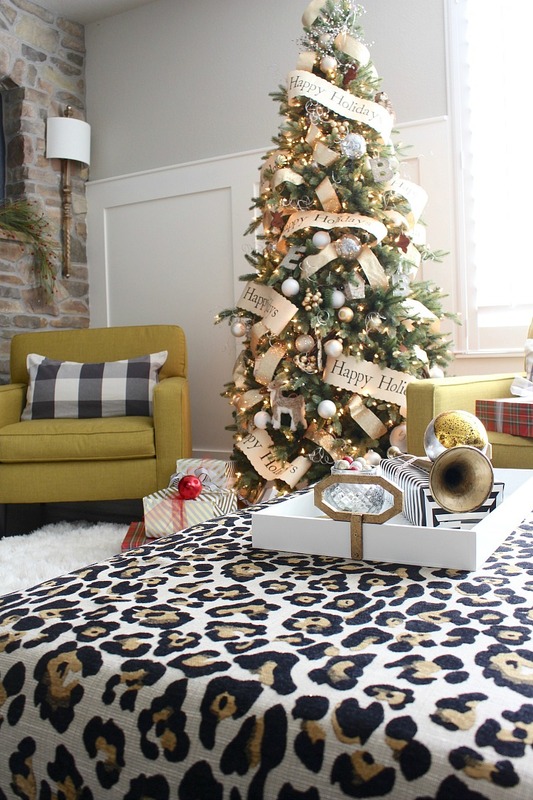 I finished my DIY leopard ottoman just in time to decorate it for the holidays. or at our beach cottage in Naples, FL. Depends on if we want a snowy Christmas or hot & sunny Christmas. I prefer the sunshine and beaches, the boys prefer the freezing snow. This year they won. We actually will fly out to the cottage the day after Christmas. Can’t wait! Sometimes grandparents will visit, and sometimes its just our little family. This year we will wake up early on Christmas morning and come down to our basement family room (see what it looked like last Christmas HERE and HERE). We’ll all take a turn at opening our stockings. Nothing gives me greater joy than watching our boys open their gifts. What’s even more special is when I see them hugging each other, thanking the other for the thoughtful gift that they gifted one another. Cue the sappy moment of my hubby and I getting all teary eyed because we know that these are the most precious moments on Christmas day. Quite rare to see the brotherly love. Usually we are playing referee between them. We then will eat my traditional breakfast casserole and continue lazying around on the sofa playing with our new gifts until our late afternoon holiday meal. It’s the most relaxed day of the year and a time that we just unplug from the world and focus on one another. Christmas music is playing all day long and we never want this day to end. Thank you Tree Classics for giving me the opportunity to bring back my love for the traditional green Christmas tree in our home this year. 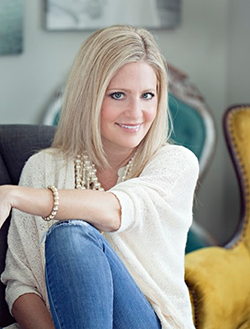 Be sure to stop by each of these bloggers’ homes on this tour! There’s a great variety of styles that you will love to see! Thank you so much for stopping by today. We always have a fun project going on around here. There is something big on the horizon for 2017! Can’t wait to tell you soon! Sign up for my newsletter below so you can stay up to date with all the latest and greatest going on! 2017 just may be the most exciting year ever!! 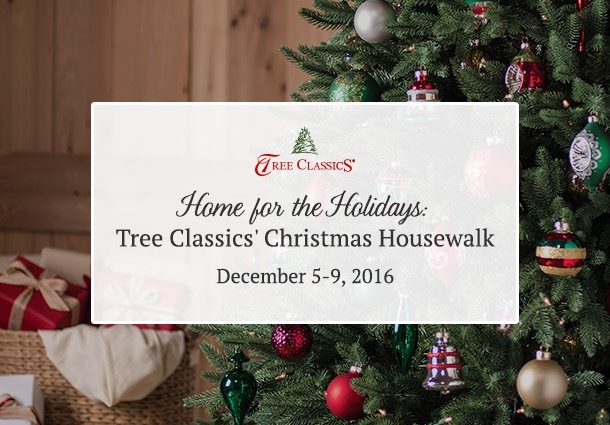 Thank you Tree Classics for sponsoring this post. I love to share products and brands that I would put in my home and recommend to my valued readers. All opinions and photography are my own. 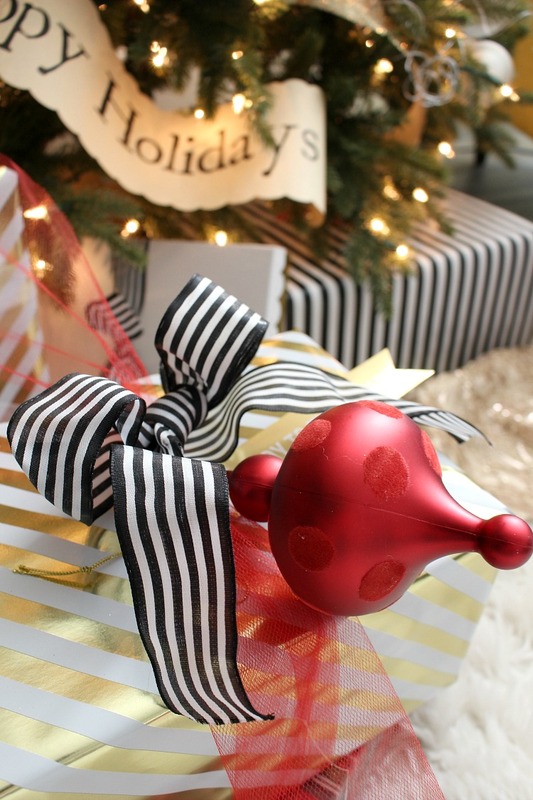 Love the ribbon and the graphic black and white touches for winter. Fun partying with you thing week Shauna! Thank you Janet! So fun being on this tour with you too friend! Merry Christmas! Bree, thanks so much for stopping by! I can’t wait for Christmas day and to take a nice break! I hope your Christmas is extra special this year. Love ya dear! Rhoda, thank you so much for inviting me to be a part of this fun tour! 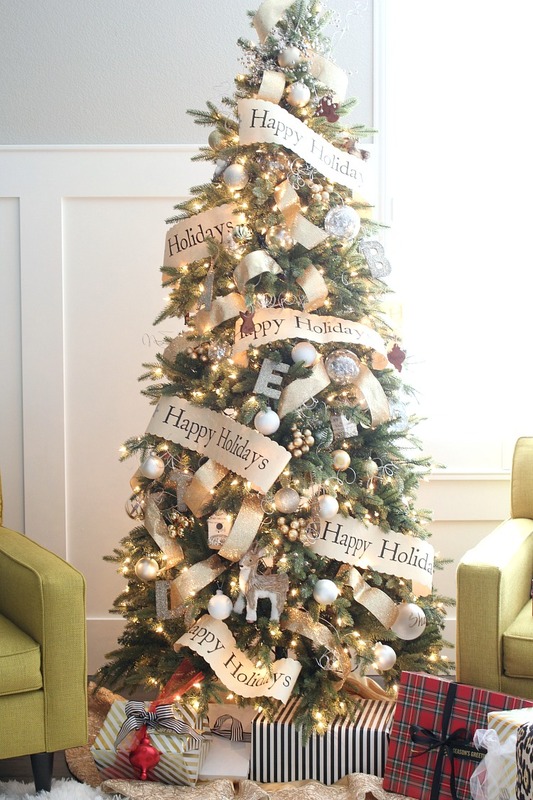 I had so much fun decorating our new family tree! I hope you have the merriest of Merry Christmas! Erin, you are always the sweetest friend! Your comments mean the world to me especially knowing just how busy you are, yet you take the time to hop on over to my blog. It was so fun doing this tree tour with you and having lots of fun chats about it ;). Merry Christmas to you and your precious family. love ya!! Thank you Heather! I hope you and your family have a very Merry Christmas too! Tam you are so sweet to stop by again! Thank you!! So blessed with your sweet friendship. Merry Christmas! Thank you Emily! Doesn’t that song just bring you to tears? Love it. Merry Christmas to you sweet friend and your family. Hoping we can meet up again next year!